Apple is now permitting developers to submit 64-bit apps to take advantage of the A7 processor in the iPhone 5s, according to a note posted to the company’s developer site today. Developers with apps that function on both iOS 6 and iOS 7 will be limited to 32-bit development for the time being, but Apple has plans to support a single app binary for both 32-bit and 64-bit apps in the next month. 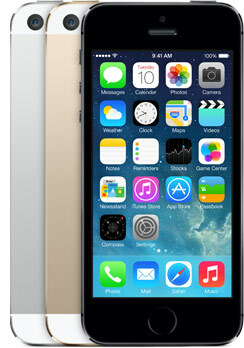 First unveiled last Tuesday, the iPhone 5s incorporates the first 64-bit processor found in a mobile device. According to Apple, the processor offers double the power and graphics performance of the iPhone 5 and is 40 times faster than the processor of the original iPhone. In addition to an A7 processor, the iPhone 5s also includes a Touch ID fingerprint sensor, an M7 motion-sensing chip, a number of camera improvements, and better battery life. Apple is not accepting pre-orders for the iPhone 5s, which will be available for purchase from Apple’s online store beginning at 12:01 AM Pacific Time on Friday, September 20. Update: Apple has removed the note for unknown reasons. I'd imagine the developers would need a little more time to recode for 64 bit? There's really no re-coding. Basicaly, it's compiling the code through a 64-bit compiler in addition to the 32-bit compiler and testing the code. In rare cases, there will need to be a few fixes, but in general, the same code can be compiled for both 32-bit and 64-bit. Could it be that you where offline for a year or so? You would have to be exceedingly brave to submit a binary built for hardware you don't actually have yet, and have not tested on. More than a bit better. Having learned to hand assemble for an 8-bit it amazes me how far we have come. And yet still no word of 64 bit Android. We're so far ahead of them it's hysterical. :D If you want 64 bit desktop performance on your mobile there is only one player in town. You have absolutely no idea what you're talking about. This is irksome. Not only is the A7 not anywhere near desktop performance, on the very same day Intel was showing 64 bit cpus for Android. Apple is, unfortunately, ahead of precisely no one. In the keynote the Infinity Blade devloper recompiled his game in 64-bit in less than 2 hours using the new features in xCode. Granted, I'm sure people would need more time for testing and ensuring everything compiled smoothly.